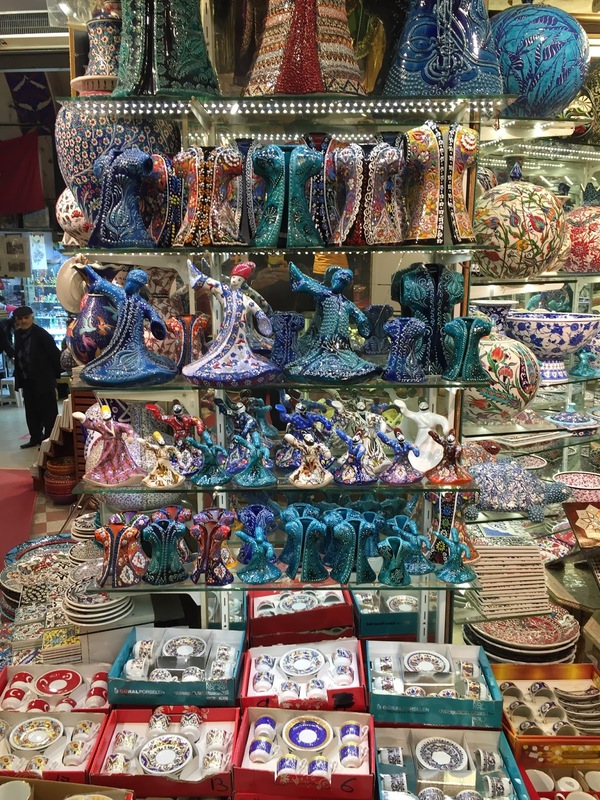 The Grand Bazaar (Turkish: Kapalıçarşı, meaning ‘Covered Bazaar’; also Büyük Çarşı, meaning ‘Grand Bazaar) in Istanbul is one of the largest and oldest covered markets in the world, with 61 covered streets and over 3,000 shops. It is well known for its jewellery, hand-painted ceramics, carpets, embroideries, spices and antique shops. 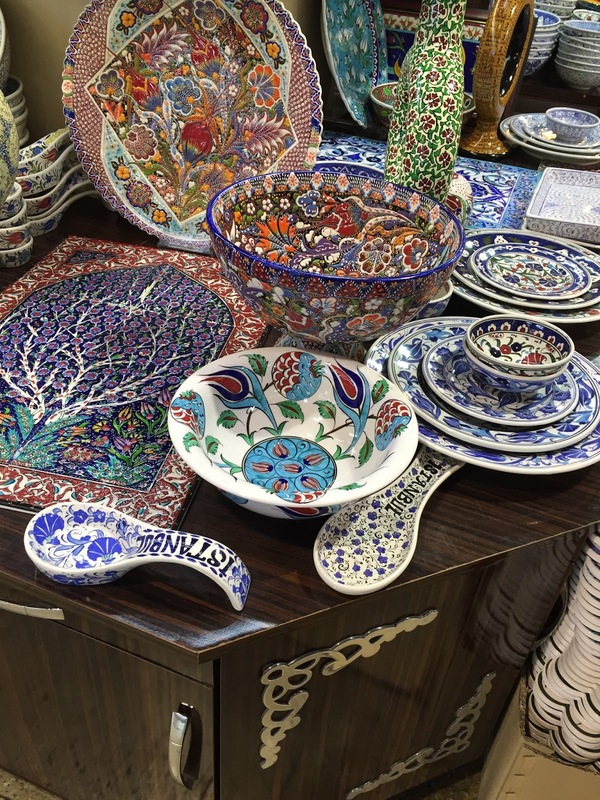 Many of the stalls in the bazaar are grouped by type of goods, with special areas for leather, gold jewellery and the like. The Grand Bazaar has four main gates situated at the ends of its two major streets which intersect near the southwestern corner of the bazaar.